This is a handcrafted bronze skull on a bronze kilt pin with a chain and dangles. 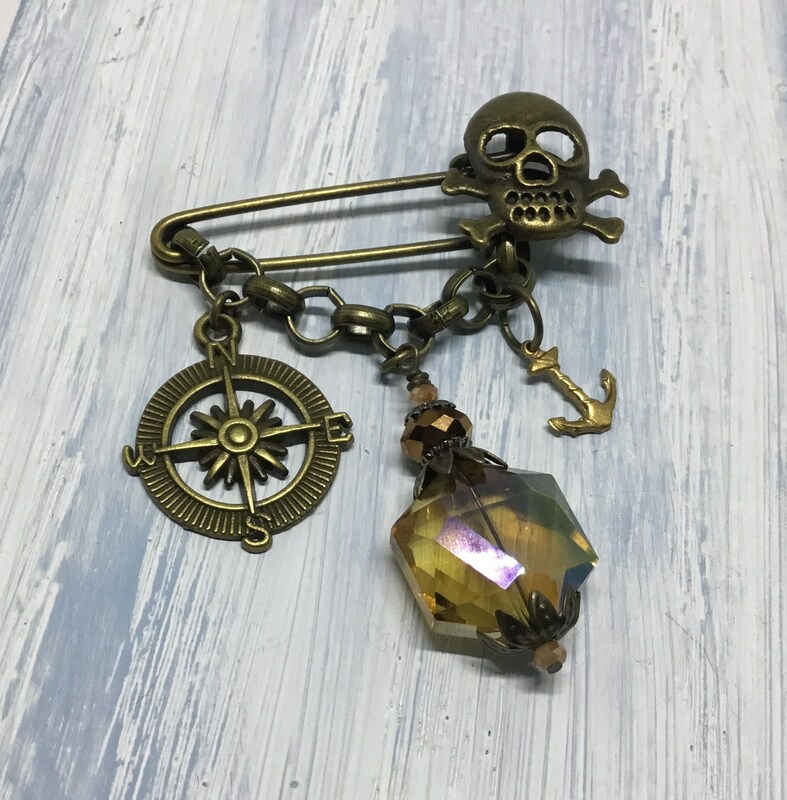 This pin has a compass charm, an key charm, and a gorgeous vintage style ultra faceted glass AB hexagon Topaz colored crystal dangle. 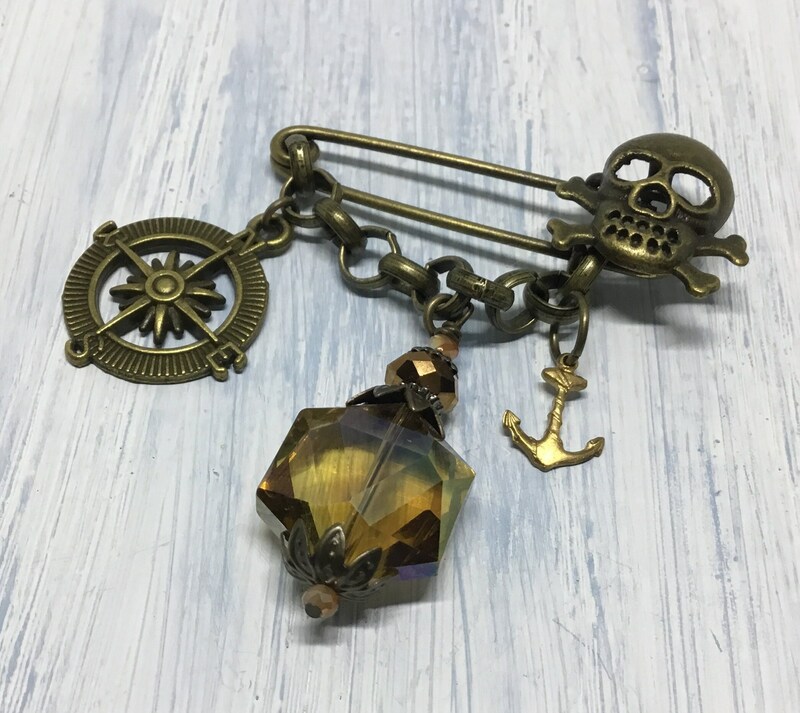 A great pin for someone who loves Goth, Steampunk, or just a great little pin with lots of dangle movement. Would look great on a denim jacket, backpack, Steampunk hat, or a lapel. Fun and whimsical!